Home » Ask The Trainer Blog » Misc » How Often Is A Personal Trainer Needed? How Often Is A Personal Trainer Needed? When you start working with a personal trainer your fitness level is going to be assessed and the professional checks for muscle imbalances. After that, fitness goals are set within reasonable margins and the specialist is going to create a program that takes all this into account. Personal trainers guide you through those programs and make sure that you always maintain a proper form, achieve the goals and avoid injuries. 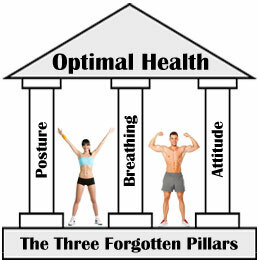 This is true for specific training related to an activity or sport, weight loss or muscle building. How often a personal trainer is needed is basically linked to why the trainer is chosen in the first place. Support, motivation and encouragement are gained as you progress on your fitness journey but when do you really need professional help? Being new to exercising or not having worked out in a long period of time means you want to meet with the personal trainer 2 to 3 times weekly. Such regularity guarantees that proper form is developed in the exercises. Muscle memory will be powerful and you never want to end up learning bat habits as you go to the gym. Results are going to be hindered and injuries can appear. Regular appointments scheduled with personal trainers will eliminate different excuses for not going to a workout session and you can reduce sessions to just 1 per week after around 3 months or when you personally feel comfortable. Let’s say that you want to participate in a 5K race or even a marathon in the near future. The personal trainer is going to help you to properly prepare for that day. He will build a training program that is progressive and take care of you so that you are not injured. 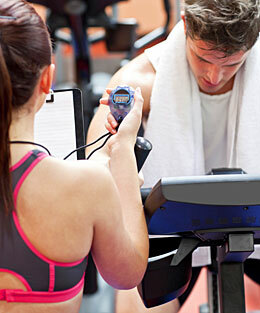 At the same time, the personal trainer will be around you, being the partner that is sometimes needed. In many cases a big problem for people that want to work out is that they do not have the motivation to do so or they simply cannot get the results they are looking for alone. This is when a personal trainer can be helpful since he can design the workout program and help you out as a training partner. Last but not least, if you have been doing the same routine for a long time or if you simply cannot get gains anymore, the personal trainer should be contacted. You want to call his 0151 number and get in touch for a program tune up. Your body may need to be faced with something new in order to keep growing or you simply may be making some mistakes that could be avoided if a different approach is taken. Working with a personal trainer as a program change is in order will guarantee that the new workout program is going to help you reach the goals that you are looking for. Just make sure you choose one that is experienced.